Raised $14,401.87 at the Southern California Charity Golf Classic for Boys Republic, the Chino Rotary Club, the Love Them All Foundation, Priceless Pet Rescue and The Let It Be Foundation. 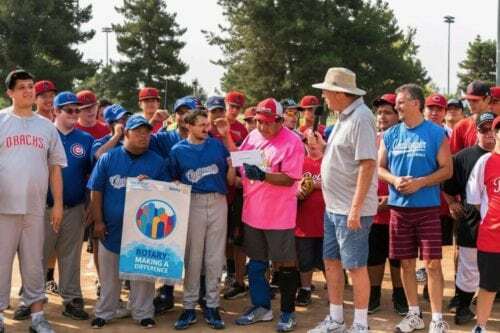 The Love Them All Foundation Softball Tournament helps raise funds to benefit children and adults with disabilities to play organized sports and participate in social activities. 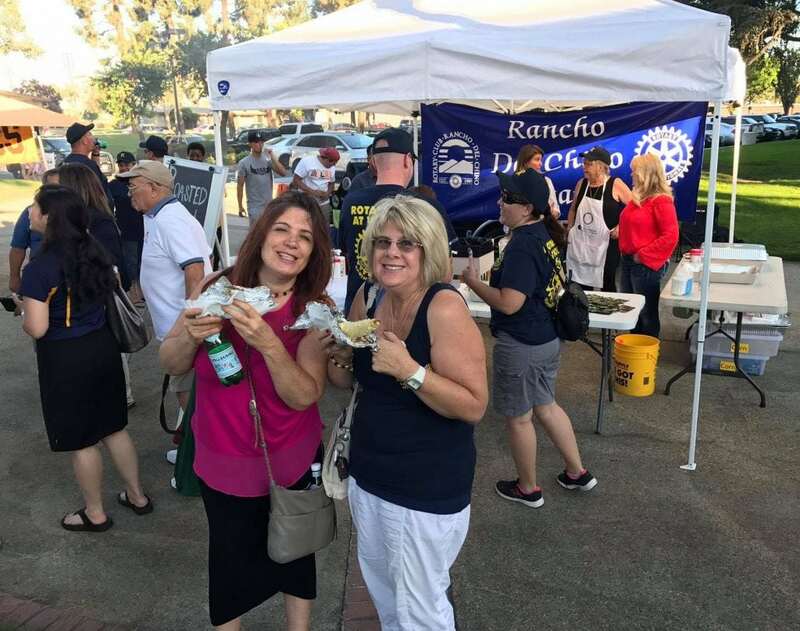 Raghada Khoury visited the Chino Rotary Club along with other Rotary Clubs at Chino Concerts in the Park. It was great getting together with fellow Rotarians to learn about each others clubs and create opportunities for us to collaborate with one another. 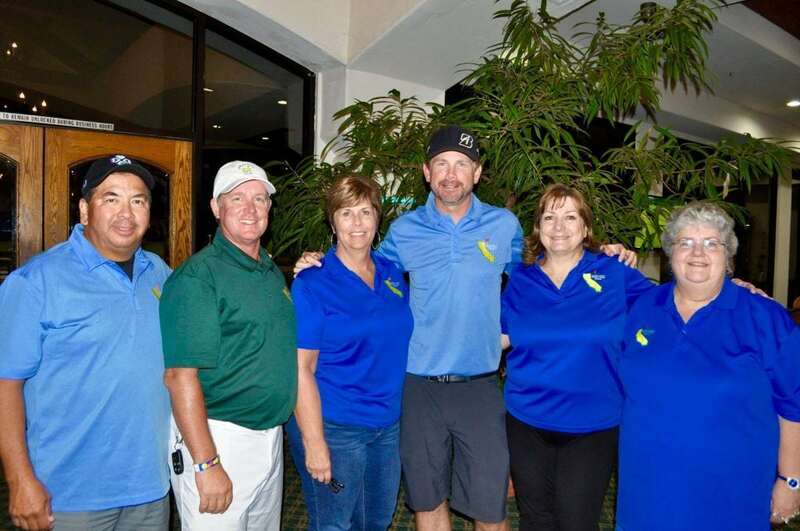 We also raised $14,401.87 at the 3rd Annual Southern California Charity Golf Classic held at Los Serranos Country Club. Rotarians Zeb Welborn, Rick Bui and future Rotarian, Anthony Verches organized the golf tournament. 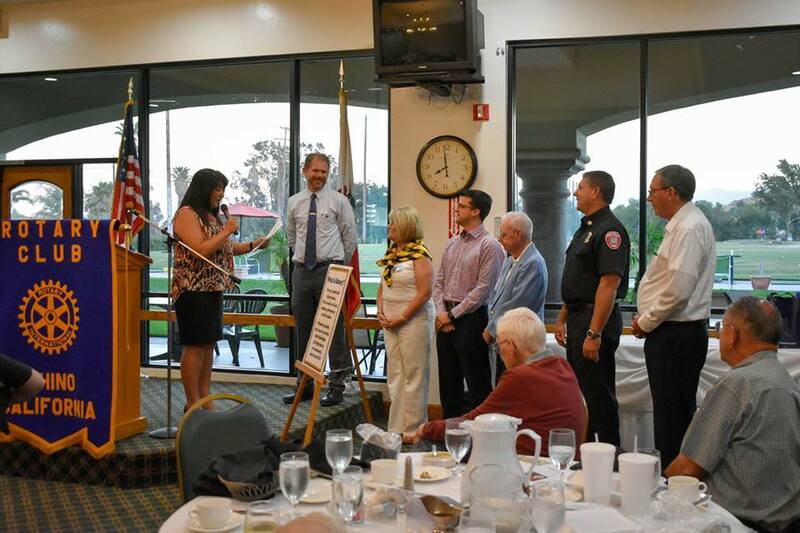 It’s been a productive first month for the Chino Rotary Club and we hope to keep that momentum going for months to come. Please remember to bring a guest at every Chino Rotary Club meeting. This year our Rotary Theme is Making a Difference. When I first got started in business about six years ago, I attended a Millionaire Mind Seminar in Phoenix with my sister and business partner Lacey. During these seminars they do a bunch of rah-rah stuff to help get you out of your comfort zone and one of the assignments they gave us was to write a song that embodied who we are. I remember my song went something like this: “I want to make a difference. I want to make the world a better place. I want to make a difference…” And after I did my little performance to my small group including my sister I remember her saying something like, “Ahh, I get it now.” In that moment, I felt she understood me. So, for me, it’s fitting that this year’s theme is Making a Difference because it defines who I am and the impact I want to have on our community. As I was preparing for this year I invited a guest to every Rotary meeting I attended and with every guest and every member here, I asked the same four questions. What do you like about the Chino Rotary Club? What don’t you like about the Chino Rotary Club? 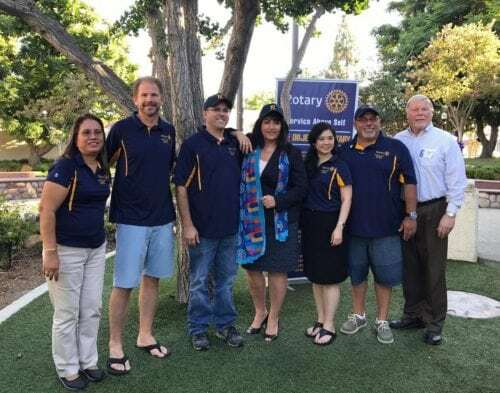 How can the Chino Rotary Club help you? How can you help the Chino Rotary Club? Today, I want to ask you one question – Why? 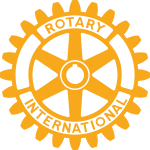 If you are a current Chino Rotary member tell me why you are a Rotarian in the comments below. If you ever thought about becoming a Rotarian, tell me why you would consider becoming a Rotarian in the comments below. As you’re thinking about it, I want to tell you why I joined the Chino Rotary Club. There are multiple reasons I became a Rotarian. The biggest reason was being asked repeatedly by Dale Bright, owner of Dale Bright’s Auto to join. But, internally, I signed up because I knew I could better serve my community with others than I could alone. I wanted to give back, but more importantly, I wanted to experience giving back in different ways to serve my community. And, I wanted to be moved. I wanted to participate in Rotary moments that moved me, inspired me and let me know I was making a difference. In speaking with all of our members and prospective members, I created one goal for my Rotary Presidency in 2017 and that is to more than double our membership from 17 to at least 34 members. 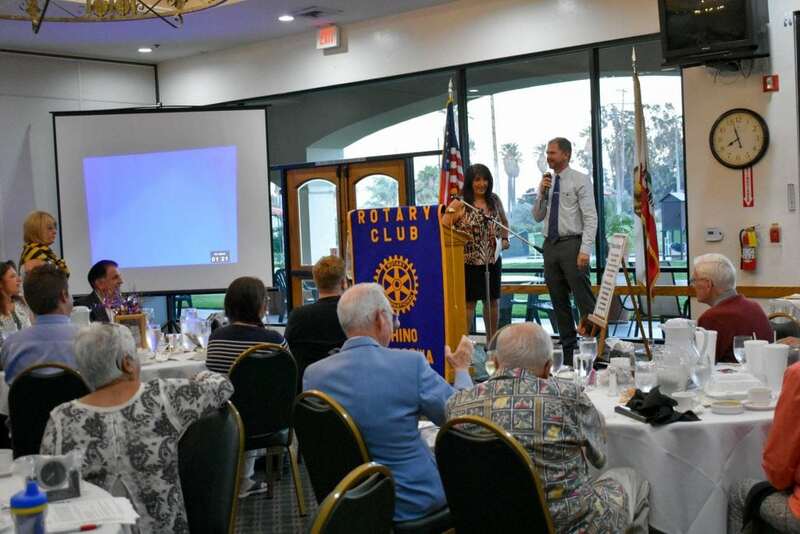 The Chino Rotary Club has a rich history in serving the Chino Valley area and I want to continue those efforts, but our club has declined in membership from close to 100 members at its peak to 17 today. Our lack of membership has limited our impact on our community and has put the Chino Rotary Club in danger of failing. An increase in membership solves current problems facing our club and gives us the opportunity to make a difference in our community. This statement embodies my personal philosophy on life and why I wanted to become the Chino Rotary President for 2017/2018. I want to make a difference. I hope you do too. 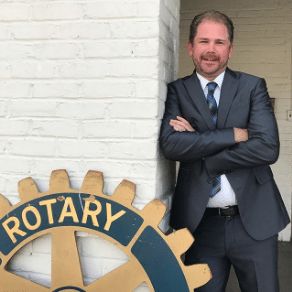 Zeb to Become Chino Rotary President for 2017/2018. The Installation of the New Board and Debunking of Melinda Robbins will take place on Wednesday, June 28 from 6pm to 8pm at Los Serranos Country Club. The Chino Rotary Club has committed millions of dollars to help the Chino Valley area since it was founded more than 90 years ago. Will you join me on June 28 at Los Serranos Country Club for the Debunking of Melinda Robbins and my installation as President of the Chino Rotary Club? The cost is $30 and will include dinner. Let me know by emailing me at Zeb@WelbornMedia.com.